Director Ava DuVernay speaks onstage at the 2017 ESSENCE Festival presented by Coca-Cola at Ernest N. Morial Convention Center on July 1, 2017 in New Orleans, Louisiana. 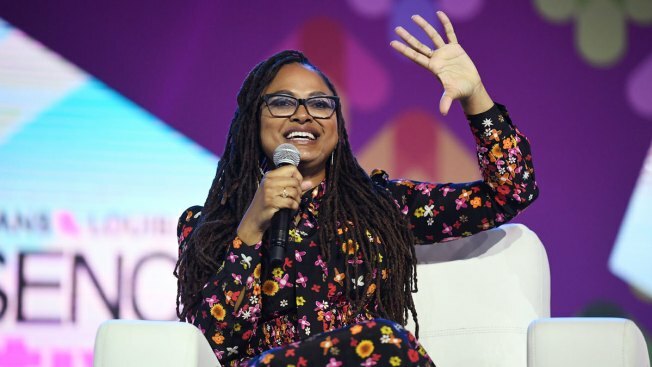 The hiring of ethnic minorities and women as first-time TV series directors is up sharply, according to a DirectorsGuild of America study released Wednesday. They're part of record growth and diversity in the "pipeline" of incoming directors, the study of the 2016-17 TV season found. The percentage of minority first-time episodic series directors has more than doubled since the 2009-10 season, while the percentage of female first-time directors has nearly tripled. "The fact is, it all starts with the pipeline," guild President Thomas Schlamme said in a statement, with hiring decisions made now affecting who will be in the employment pool "in two years, five years, 10 years' time. Our research shows that when employers actually do the work of being inclusive, they find talented directors who overwhelmingly succeed in establishing longer-term careers." Schlamme credited the guild's effort to educate the industry and hold employers accountable through contracts for bringing about what he called "meaningful improvement" in diversity. The expanding world of TV has brought more opportunity overall, with streaming services such as Netflix and Hulu joining broadcast and cable platforms to push the combined number of TV series to 400-plus and counting. An all-time high of 225 first-time directors were hired last season by studios, networks and executive producers, a 42 percent increase over the previous season, the study found. Comparing the 2016-17 season with 2015-16, the guild found that 56 (25 percent) of all first-time hires last season were ethnic minorities, up from 24 (15 percent) in the preceding season. The 73 female first-time directors hired in 2016-17 represented 32 percent of incoming directors, compared with 38 (24 percent) the season before. The study didn't include a breakdown by ethnicity among the minority first-time directors. For men and whites, the study found their percentages among new hires were down but their numbers reached new levels. A record 152 men represented 68 percent of first-time directors hired in the 2016-17 season, up from 120 (76 percent) hired in the 2015-16 season. Whites made up 161 (72 percent) of new directors last season, compared with 133 (84 percent) in 2015-16. The Directors Guild, which has been studying diversity for more than 20 years, said it added scrutiny of first-time directors in 2009 because they represent the point of entry for the hiring pipeline. The guild's annual report on employment of all episodic directors last season, including newcomers and veterans, will be published in the coming weeks.